A few months ago, when Ebola outbreak first began, many of us just didn’t care much. It was a strange disease happening in one part of world - West Africa to be precise -that was far away from us. And, so, we didn’t bother to connect to it at all. Well, things have changed a lot since then, haven’t they? Ebola has gone out and beyond of West Africa, infecting, as we speak, 8,300people and claiming 4,033 lives in places including Europe (Spain) and the US. And it’s spreading. 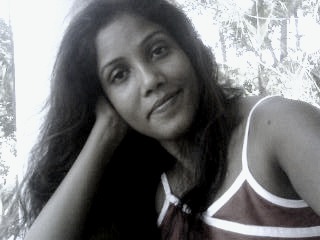 Suddenly we realize, nothing in this world is too unconnected. No place in this world is too far away. And, in this blog of mine, I want to also tell you that nothing is also too far-fetched either, especially when it comes to a crime and its effect on our lives. Just before I began to write this, I spoke with some scientists at the 12th Biological Diversity convention (CBDCOP12) who have been studying the link between biodiversity and infectious diseases. They are Catherine Machalaba, MPH,Health and Policy Program Coordinator of the Eco Health Alliance in New York and Anne-Helene Prieur Richard, executive director of the Paris-based biodiversity research institute ‘Diversitas’. I asked them to explain how destruction of biodiversity could also lead to the spread of Ebola virus globally. Before I get to their answers, let me remind you what we already know: The recent Ebola outbreak started where eating the meat of wild animals (popularly known as “bush meat”) has existed for a long time. Bat soup, Meat of monkeys and other apes are popular dishes in many countries including Guinea, Sierra Leone and Liberia. But, there is a lot of people also buy these animals for their body parts. As a result, a lot of hunting takes place because people want to make money by selling the animals – dead or alive. And it is with this rampant hunting that the threat of spread of a virus like Ebola also increases. And now this is the synthesis of what the scientists told me: Fruit bats are the natural carriers of Ebola virus. 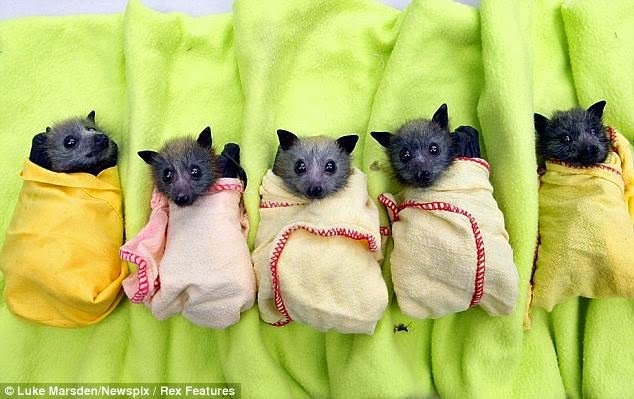 This means, the bats do carry in their body the virus that causes Ebola disease although it doesn’t kill them. But that’s just ONE kind of bat which is immune to the virus. If the fruit bats come in contact with other species – and there are 1,200 different species of bats in the world - those species can be infected and infectious. As you can understand, bats have wings. They fly around. And they don’t need a visa to fly across the border. So, if their own home forest is disturbed – either by a natural cause or by human activities, including hunting – they will leave their homes and fly to another forest. There, they will mate with other bats of other species and will spread the virus. Also, if the bats come in contact with other animals including apes, they can get them infected too. This actually happened. In the Democratic Republic of Congo, there was a massive outbreak of Ebola between 2001 and 2006 and thousands of apes died.Imagine what would happen if such an infected animal is caught or killed! Besides the two scientists, there was someone else called Maajdou Bah I spoke with. And he is a man who lives right where the Ebola first broke out: Guinea. Now, people of Guinea have been hunting and eating bush meat since time immemorial. So, the sudden outbreak of the virus is something that has puzzled them as much as it has done us. The country also has 30% of its forests under protection. So, apparently, for them it’s not a matter of massive destruction of forest that led to a disease outbreak. And so the Guinea delegation is here to ask the CBD COP for help to better study this Ebola-loss of rest-animal hunting link. 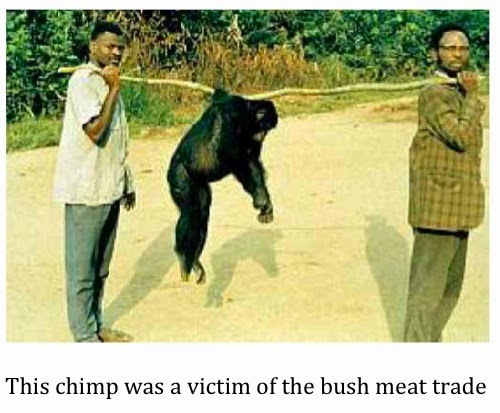 But, what Mr Bah didn’t tell me is what Jane Goodall, the world famous conservationist, has said in this article: that there is a thriving illegal market of bushmeat in West Africa. “Hunters would camp at the end of the road and, after days of shooting or trapping, get transport back to town with their smoked or sun-dried meat. Other hunters simply stayed, selling their catch to the staff of the extraction companies. For many wealthy African city dwellers, bushmeat is a status symbol proving that they can stay true to their culture. Some of the meat even finds its way to African communities overseas,” says Goodall. Now, these last few words - “even finds its way to African communities overseas,” is something that is a cause of worry. If the bushmeat is going abroad, the virus can go abroad too! Who can claim that the checking is foolproof? Sarcastic it might sound, but so far we don’t seem to be checking our human carriers too well, do we? If we did, Eric Duncan Thomas wouldn’t be in Dallas! So, what’s the way out of this grim situation? Now here again, I have heard and interacted with several top experts, including Brauilio Ferreira de Souza Dias, the executive director of CBD and Achim Steiner, the executive director of the United Nations Environment Program and they all felt that there was no silver bullet or magical wand that to end the buy and sale of wild animals in one go.The governments need to work together, the law has to be implemented, poachers and smugglers have to be caught and punished, forest rangers need to be given smarter weapons and tools like mobile phones and there has to be lots of awareness raising about the many threats of animal trade. The scientists especially feel that the world needs to urgently conduct some studies to find more about Ebola and its link to illegal hunting. So, there is a whole range of actions to be taken. But in my opinion, there is something concrete each one of us can do: ask ourselves a hard question: where do we stand when it comes to wildlife trade? Are you someone who thinks eating wild, game animals a ‘special delicacy?’ If yes, it means, there are hunters who go out in the forest to kill animals and supply to the market for ‘special’ customers like you. And if you are not eating the meat, but still think owning a tooth or nail or skin or any other part of the animal is a great deal, well, then congrats! You have just identified yourself as one of the ‘prized’ customers for whom the animal is caught, killed, dried, packed and shipped across the oceans. In either of these cases, the action is simple: just stop being the person you are: responsible for wildlife trade! Once you do that, you are not playing a direct role in spreading the Ebola virus. I am imagining that some of you are grinning by now, thinking that this whole post was a fantasy and too far-fetched. 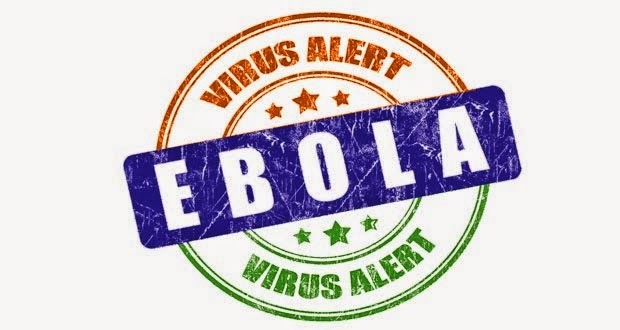 Well, do remember that not so long ago, residents of Monrovia – the capital of Liberia – also thought that eating bush meat was in no way dangerous and that the Ebola was a myth, creation of foreign rumor-mongers . Look where it has got them. The recent Ebola outbreak first started in December 2013. For months, we have been aloof. We have been apathetic. We have held on to our devil-may-care attitude. It’s time we shook this attitude and started being smart. And right now, there is smartness in believing that there is a direct connection between wild animals hunting and trading and Ebola and that we can do something about it. It’s a belief that will hurt you less and also the animals in the wild who can’t speak for themselves.